The demand for Virtual Assistant services is continually growing! Simply stated, more and more people are starting up home businesses nowadays to supplement their income or to replace their 9-5 job. These new business entrepreneurs are finding themselves in two main groups. The first are those who have found some level of success with their home business and now need a Virtual Assistant to help them grow their business. And the second are those who want to start a home business but aren’t quite sure how to do it successfully. 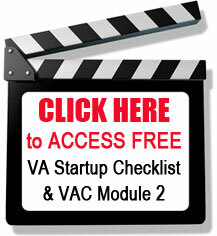 Both of these present an opportunity if you’re interested in becoming a Virtual Assistant. Read on to find out how. 1. Analyze your strengths and interests. 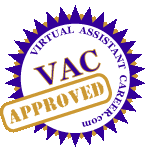 As a Virtual Assistant you have the opportunity to specialize in a number of ways. You can specialize by catering to a specific industry such as affiliate marketers, a specific level of business like start-ups, or even a specific area of home business ownership such as marketing. To decide how to specialize, consider your area of expertise and your personal strengths. If you have a lot of experience in business planning for example, then you could specialize by helping aspiring business owners plan their business for success. 2. Analyze your weaknesses. Take a quick look at the areas where you may be weak and educate yourself in those areas or decide how you’re going to compensate for them. For example, if you’re not skilled or dislike the financial aspect of business planning, then you could educate yourself in the matter or partner with someone who is strong in that area and outsource it to them. 3. Create your business plan. In this step you’ll outline who your target market is, how you’re going to market your Virtual Assistant business, what services and/or products you’re offering and how you’re going to manage your business. Set your prices/fees and create your invoicing and fulfillment systems. 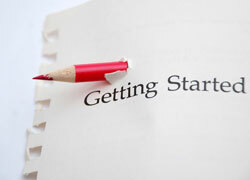 You’ll also want to include goals and the necessary steps to achieve your business goals. Ideally, you’ll also outline and create your business website in this step or hire someone to create it. 4. Network and get clients. This is often the trickiest step; getting that first client. Networking with your target audience both online and off is a good way to reach your audience. Additionally, content marketing and presenting yourself as an expert will also help you reach your audience and convert them to clients. 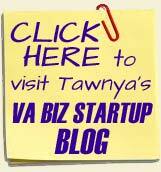 You can also join VA organizations that have busy job boards for Virtual Assistants to get new clients. 5. Provide value. Content in the form of reports, audio or video programs, webinars and online courses are all great ways to provide value to potential prospects. It’s also a great way to build a lead list. Provide the content for free and then market your business consulting services to your subscribers in subsequent messages. The content helps position you as an expert and gives you access to qualified prospects. 6. Word of mouth marketing. Once you have the ball rolling and your first few clients, embrace a referral or affiliate business model to drive more business in your direction. A referral model would mean that you’d provide some sort of credit or incentive if clients referred new clients to you. 7. Continue to provide value. There may come a time when the client will no longer need your services. However, that doesn’t mean you cannot continue to provide value to them. Content, like a weekly newsletter, will continue to provide information to your past clients and they’ll be more likely to refer you to a friend or associate because you’re in continuous contact with them. Virtual Assistants that offer value and specialize will always be in demand. Take time to plan your business and you’ll achieve the success you desire. To your success!